Michie Mee is known as Canada's first famous female MC and the first Canadian rapper to ever be signed to a major American label. She was born in Jamaica but moved to Jane & Finch as a kid, where she started rapping as a teenager in the mid-1980s. Soon, she'd developed her own unique style, combining early North American hip hop with raw Jamaican reggae and dancehall. 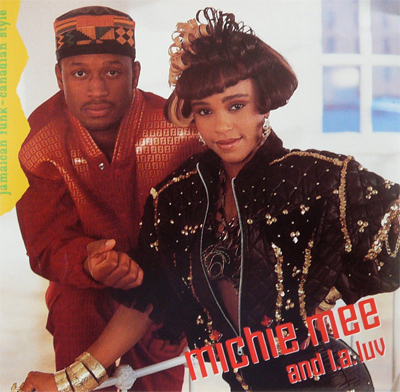 She teamed up with Toronto producer L.A. Luv and they released their first single — "Elements of Style" — in 1987. The duo got plenty of support from legendary hip hop artists like KRS-One and Scott La Rock from Boogie Down Productions, but they broke up after releasing just one full-length album: Jamaican Funk—Canadian Style in 1991. L.A. Luv would go on to join Dream Warriors, while Michie Mee still has her own solo career, is an actor, and was a founding member of the rap metal group Raggadeath. You can buy Jamaican Funk—Canadian Style here.